You may have noticed over the past couple of years that YouTube has introduced viewers to Pre-Roll video ads. A Pre-Roll video ad is a 15 second to 1 minute long promotional message that is played just before a selected video. These short video advertisements are often condensed versions of a larger television ad campaign. While some automotive dealerships try and re-purpose television ads, others like DGDG have began creating exclusive online Pre-Roll video content that targets the 0:15 to 0:30 user attention span. These visual automotive ads can act as a powerful tool for dealerships who are trying to attract new potential car buyers. Part of what makes YouTube’s Pre-Roll ad platform so powerful is the way video ad engagement is now set up. The video format known as TrueView allows YouTube visitors the choice to skip an ad after five seconds. Various site analytics report that almost half of all viewers watch pre-roll ads in their entirety, even if presented with the option to skip them. And what makes TrueView that much more powerful is that your dealership only pays for ads that are viewed in their entirety or until 30 seconds have elapsed. So now that you have a basic understanding of how YouTube Pre-Roll video ads work the next question would be; How does your dealership go about setting up and managing your Pre-Roll ad campaign? Part of BTP Digital Group’s Pre-Roll ad service management platform helps take the leg work out of your daily workflow by managing your Pre-Roll ad campaign from start to finish. Much like how BTP’s SEM team manages your PPC campaigns, we help maximize your ROI by assisting in the uploading of your completed video ads and then by setting up your ad campaignsandkeyword searches. 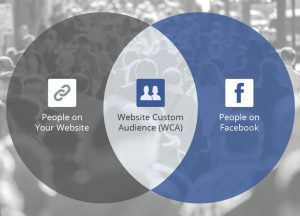 This will not only help get your video ads in front of the correct intended audience but also make sure that your ads stay relevant to help drive lead conversions. Much like search retargeting, BTP offers its clients Video and Website Remarketing to help drive more relevant clicks. When a user either visits your dealership’s website or if they click on a video on your company’s YouTube channel they will automatically be entered into a segmented list that can then be remarketed to. 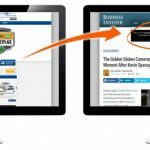 As the user continues on with their everyday browsing they will be followed with one of your display ads or if they are on YouTube, a Pre-Roll video ad that helps keep your brand fresh on their minds. 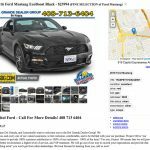 This will not only help your dealership’s brand awareness but also help guide the buyer throughout their next car buying process. Another part of BTP’s Pre-Roll video ad management service is dedicated to monitoring and evaluating how well your ad campaign is doing. BTP’s SEM team monitors, analyzes and reports the data ( watch time, views, likes, shares, and comments ) that is gathered by Pre-Roll video advertising. From initial impression to final conversion, BTP believes that metrics like brand awareness, ad recall, and consideration help provide a basic barometer of how well an audience responds to your dealership’s videos. 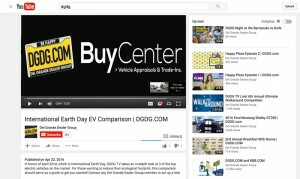 Is your dealership interested in rolling out YouTube Pre-Roll ads? Do you need help managing your dealership’s video ad campaign? BTP Digital Group’s team can help. Give us a call today 408-335-0065 or visit us here.